The November 15th submission deadline for Excel audits has been extended to December 1st. This new deadline also applies to SECOR (small employer) audits. Note that all other deadlines and fatal flaws related to deadlines still apply – 45 day maximum for on-site work and 45 day maximum (or December 1st, whichever is earlier) for report writing and submission to AMHSA. The deadline for eCompliance audits remains December 15th. Contact Shannon Thomas for questions about the revised deadline. In late 2016, Partnerships revised standards for Certifying Partners involved in the PIR program. As a result, we have updated our Audit Refresher training and are in the process of adopting a new Audit Tool that meets the revised standards. AMHSA auditors who have taken the new Audit Refresher training will able to conduct audits using the new tool. The new course is one day of mandatory training (Audit Refresher), plus an additional day (Advanced Audit Tool Training) of optional time to spend in class using the new tool. The Audit Refresher course is a prerequisite for the Advanced Audit Tool course. The cost remains $60 for AMHSA members, including the second day. Please call us at 1 800 267-9764 to register or to be added to the wait list for future offerings. The deadline to request participation in the external peer audit process is June 1st. Email your request to Shannon Thomas, and include the following information - month audit is to be conducted, audit tool to be utilized, scope information (number of staff and worksites at the time of the audit), and the names of auditors available to conduct a peer audit on another municipality. If you will be hiring a consultant auditor to conduct a COR Certification audit, please inform Shannon via email for planning purposes. As described in earlier auditor updates, the new audit tool will be mandatory as of January 1, 2019. This year, AMHSA employers can use either the original Excel tool (2010), the eCompliance tool (2015), or the new Excel audit tool (2017) if auditors take the Refresher training. If you have questions about which tool you are able to use, please contact Shannon Thomas at 1 800 267-9764. Detailed updates about the transition are available on our website. The new Excel tool has undergone many revisions and is currently in the final internal testing stage. As soon as it is available for members to use it will be shared during Audit Refresher training and on the AMHSA website. We thank everyone who has taken part in testing and provided valuable feedback on its functionality! All employers in the COR program are required to have someone on staff attend the WCB’s half day Return to Work seminar. The course schedule is available on the WCB website. AMHSA will be offering the seminar in conjunction with the Employer Information seminar at the Municipal Health, Safety, and Utility Conference on Tuesday, December 5th. See the RUSA website for more details. Please send proof of training to the Sherwood Park AMHSA office so we can keep our records up-to-date. Email your completion certificate to Carla Smith. 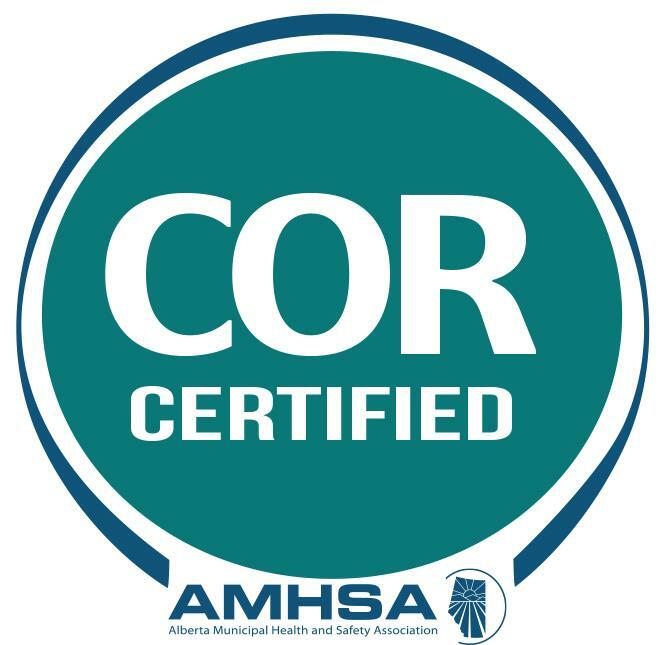 AMHSA has a new COR logo! The new AMHSA COR-Certified logo is available for members to use, if they have a current COR. The logo cannot be altered in any way (colours, size, fonts, etc. ), but can be used in black and white. If you have questions, please contact Shannon Thomas at 1 800 267-9764. The preliminary results report is available online. Online training is available 24/7 to all members and non-members. New courses include Office Ergonomics, Behaviour-Based Safety , Electrical Hazard Identification and Risk Assessment, Welding Safety , and Pool Safety . Click below for full listings! Please note that prices do not include GST. For best results, please use Internet Explorer 8 (or newer) or Firefox as your browser and ensure that you have the current version of java installed. To learn more about AMHSA's online and classroom courses, and how we can help your employees gain the OHS education they need, visit our website, or call our office and speak to one of our team members.